My buddy Sean who couldn't make it to Kumi and I's wedding, surprised me by giving us a Wii for a wedding gift! 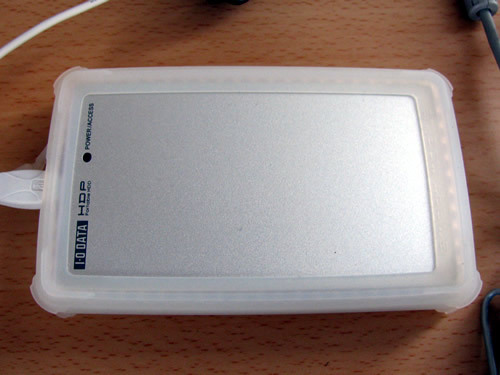 Back when it first came out I was fairly keen on getting one, even to the point of considering waiting in some ridiculously long line up. When my friend Jason got one, and we started playing Wii Sports, I was even more impressed, but I told myself to wait for the hype and prices to calm down a bit. Well now I have one and I'll be honest with you, I've played it twice in the last 2 months. Not sure what happened. 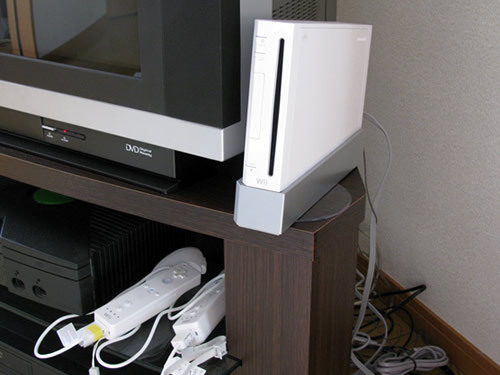 A combination maybe of having no time to play, the fact that there don't seem to be any good games out there, only having one game in the first place which is kind of crap (Wii Decasports) plus a general lack of interest in video games in general... I've considered selling it, but perhaps I should make myself buy a few games for it first. Wii Music is coming out soon, might give that a try and hope it's as good as the Xbox's 'Rock Band'. In case you're wondering why picture quality has suddenly improved on this site, wonder no more. For the last month or so, all shots have been brought to you courtesy of my new Canon Powershot SX110 (except this shot of itself of course, ironically the last shot I'll ever take with my old Fujifilm), my first camera upgrade in more than 7 years! If you didn't notice any change in picture quality, shame on you. After about 7 years of faithful service, my Fujifilm FinePix 4500 was almost an antique. It was top of the line when I first bought it, cost 70,000 yen ($700.00) and still takes pretty good pictures even today, the reason I wasn't rushing to replace it. 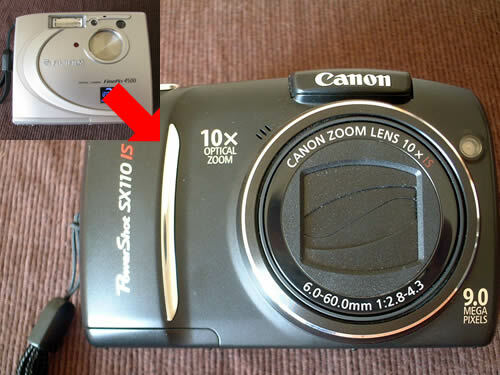 Technology moves fast though, and these days it's no match for even the cheapest digital camera out there. However my new Canon is definitely not the cheapest one out there, and I can do things with it that I never even dreamed were possible with cameras! But why stop at a camera though? It was way past time to tech-up. Almost all my friends were ahead of me when it came to hardware. It had been years since I bought any electronics. My website deserved more. I deserved more. With swiftly vanishing hard drive space, and a noticable decrease in CPU performance in my Dell, I knew I'd be needing a new computer soon, but who would've guessed that I'd switch to Apple? A MacBook to be specific. A lot of my friends and family are Mac users and rave about them, but none more so than Jason, who was very helpful in answering tons of Mac related questions I put to him which finally convinced me to make the change. 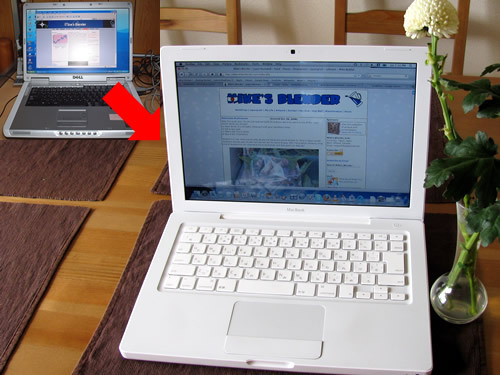 Other factors included not being keen on Vista, a lack of confidence in Microsoft in general, and being impressed by the MacBook's great design, usability, performance, quietness and security. Not everything is wonderful in the land of tech upgrades though. My Macbook couldn't read my external hard drive as it is password protected, and the password software is only compatible with Windows. Plugging it back into my Dell, I tried to remove the password and somehow in the process managed to destroy the whole hard drive. I-O Data, you've just lost a customer. Luckily for me, the files which were supposed to be a backup for the files on my Dell, were still on my Dell, so I didn't lose everything. Annoyingly though, all but a few of the recent pictures (including the haikyo pictures and video) taken by my Canon, were lost, as my Dell hard drive didn't have any room for them. 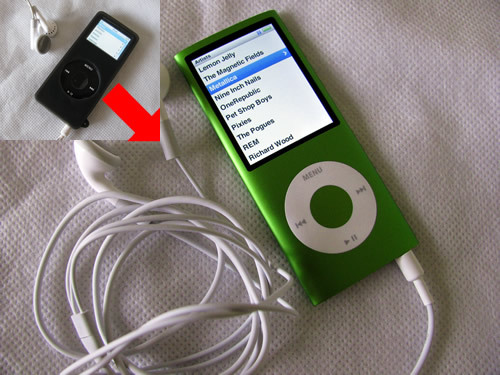 To round out my tech purchases I decided I also couldn't live without a new ipod. Thankfully Apple decided to bring back the original design after turning me off with their 3rd generation square shaped models. They did however keep the larger, super high definition screens for version 4, which along with the option to have 16GB of space cinched the deal. 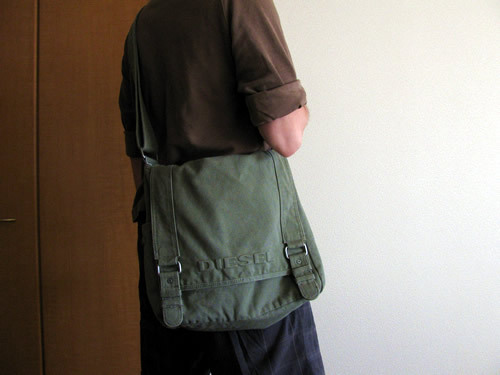 Getting a new bag doesn't really have anything to do with tech, but if fits in with the overall theme of this post which is spending money. Using a backpack is like, so passe. I've been feeling embarrased these days when I headed out with my little Jack Wolfskin daypack. 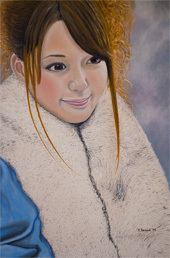 Even Kumi remarked that I could definitely use a style upgrade in that area. Well since was on a spending rampage, I figured now was a good a time as ever, and so after looking around a bit, I decided on this new shoulder bag from Diesel. So is that everything? Well I'll probably take a break for a bit, but there are a few more things I could use, like a bluetooth keyboard and monitor for the Mac, bar ends and a speedometer for my Trek, etc, etc. Christmas is just around the corner! I finally made the leap from digicams to dSLRs. I had been considering buying Nikon's new D90 but couldn't quite bring myself to shell out the thousands of dollars required to buy it and a few decent lenses. However I was saved having to make such a momentous decision by Jason, who decided to upgrade from a D80 to a D300, and sold me his D80 at a very reasonable price. The D80, although recently having been replaced and improved upon by the D90 is still a very decent camera, and having seen some of the amazing shots that Jason took with it, I knew it was in good working order. As for lenses, well they don't come cheap. 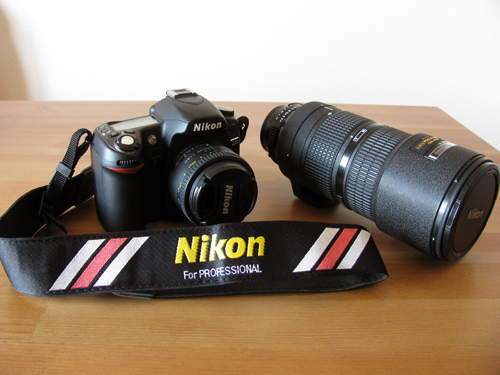 So far I have a 50mm prime and a very nice 80-200mm telephoto lens, both Nikon. Next in line will be a wide angle lens for scenic shots. Check out some of my better shots on flickr here. For some reason, Apple saw fit to put a junk version of iMovie on my MacBook, and made me pay for the upgrade seperately. What's up with that Steve? I don't use video that often, but when I do it's nice to have a video editor that, at the least, gives me the ability to do things like edit the music track and change the video speed. 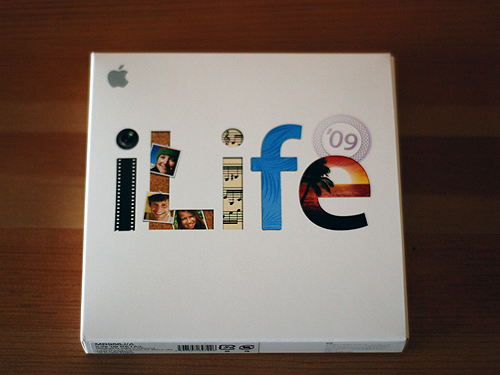 Anyway I went ahead and bought the 2009 version of iLife which also comes with an upgrade to GarageBand, iPhoto and iWeb. Of these four applications, the only really significant bonus in my opinion was in iMovie. iPhoto was pretty good before, and I don't see much difference in the new version. The change in GarageBand also seems small, but to be fair I haven't had a good look at the upgraded version yet. I do know that it comes with a guitar teaching option that sounds interesting. And iWeb? Don't need it. 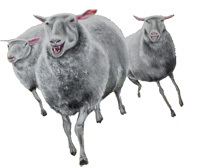 Pretty sure that Dreamweaver CS3 is miles ahead of it. 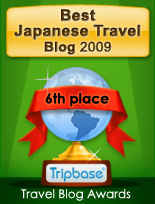 Having Japangrish on the web may not be enough for some people. Now you can have Japangrish in it's analog form as well! Think about it. Now you can fall asleep reading Japangrish while curled up in bed, you can take it with you on camping trips to read by the fire, or you can study it during those longer bathroom sessions! It was actually my youngest sister Liz (one of my biggest Japangrish fans) who went to the effort of making this book for me, and I received it as a gift for Christmas. 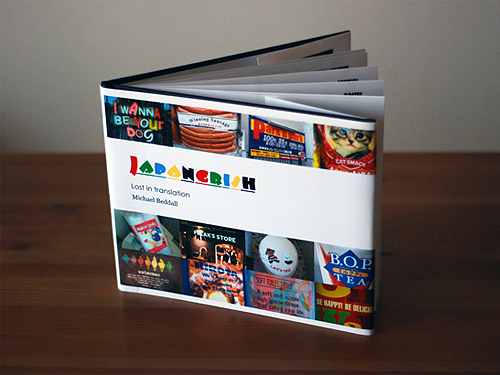 If anyone out there actually loves Japangrish enough to want a copy, let me know and I'll give you the ordering details.